November 1940. Denmark and Norway have been invaded,the blitz has been raging in London since September. This is singer Tillie's last performance before leaving to entertain the troops, someone, though is intent on stopping her. This brand new detective play Murder At The Pelican Club, is an exciting 1940s murder mystery in the vein of the classic crime thrillers of the 20th century, an Agatha Christie style detective drama that will have audiences guessing ‘who done it.’ Written with a touch of humour, the play takes place in the Pelican Nightclub and Restaurant in November 1940. It can be performed on stage, or in a restaurant with the audience all round. MICHAEL EELS: A drunken musician accompanying Tillie. Murder at Hillingbrook Halt is an exciting 1940s set murder mystery in the vein of the classic crime thrillers of the 20th century, which will have audiences guessing who done it and why? Eight people are marooned in the chilly waiting room of a fogbound isolated railway station, where a coal fire is slowly dying and a cold cup of tea has been abandoned by the missing station master. Is it just chance that has thrown them together? Or is there an underlying sinister reason? When the station master staggers into the waiting room and falls dead at their feet it's clear a killer is at large. Each one of them had the opportunity to commit the murder. Each has a secret to withhold. One of them is a killer who will stop at nothing to protect that secret from being exposed. 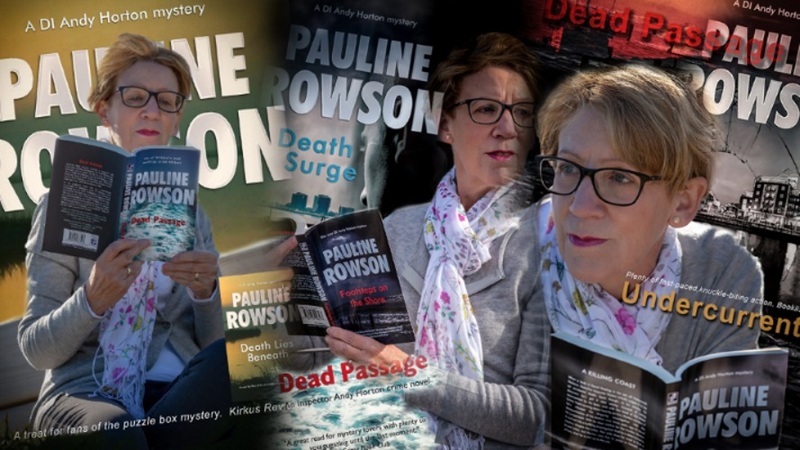 Or commission an original script from crime writer and author, Pauline Rowson.